Riley V. Pennington graduated from Sonoma State University with a degree in Political Science. Riley was heavily involved in several leadership organizations and student government, while serving as President of Alpha Xi Delta Fraternity and as a member of the executive board of the Panhellenic Council. Riley received her Juris Doctor from Thomas Jefferson School of Law. During her time as a law student, Riley was a member of the Public Interest Law Foundation as well as the Family Law Society. In addition to being named to the Dean’s List on numerous occasions, Riley was awarded the Jefferson Medal for excellence in legal writing. While attending law school, Riley spent two years volunteering for a San Diego based non-profit law firm dedicated to providing legal services to indigent families involved in high conflict custody cases. This experience allowed Riley to gain invaluable skills in managing complicated child custody situations while assisting clients who were experiencing extreme hardship and emotional distress. During her two years with this non-profit firm, Riley developed a passion for family law and a desire to assist individuals during a time in their lives that is often difficult and stressful. As a result of her efforts, Riley was awarded the Wiley W. Manual Award for pro bono legal services, as well as the San Diego Volunteer Service Distinguished Service Award and Standout Volunteer award. Riley went on to work for a San Diego based family law firm as both a law clerk and a family law associate after passing the California Bar Exam in 2015. 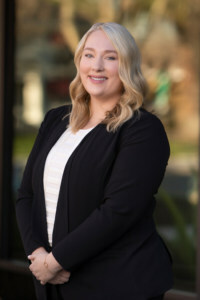 By beginning her family law career in a boutique law firm, Riley gained extensive experience by representing clients in divorce, child custody, child and spousal support and domestic violence cases. Prior to attending law school, Riley worked for a hotel branding company where she undertook failing hotels in Northern California and turned them into fully operational, income producing properties in order to prepare them to sell. This experience provided Riley with a unique business sense and financial management skills that apply directly to many issues that arise in her family law cases. As a Northern California native, Riley feels at home in the Bay Area and especially anywhere near the ocean. She spends her free time visiting friends and family, exploring new restaurants and new cities, and rooting for the Warriors.